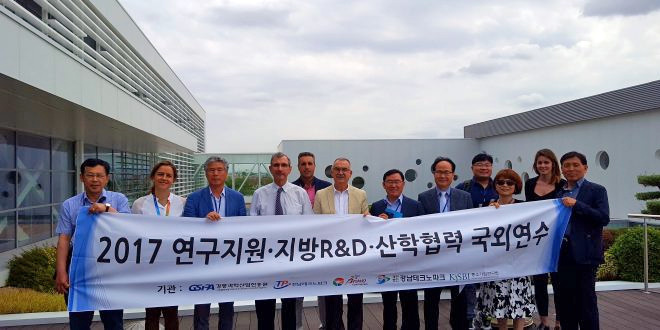 On May 29, INMUNOTEK was visited by a South Korean delegation from the Gangneung Science and Industry Promotion Agency (GSIPA), Jeonnam Technology Park, Research and Support Department of Gyeongnam Province, Korea Institute of SMEs and Global & Local Brain Park. The objective of this visit was to learn about the structure and operation of the technological park Tecnoalcalá, managed by Madrid Activa, the OTRI (Research Transfer Office) of the University of Alcalá. INMUNOTEK was referred as a successful company example installed in the park.